Clarity. . Wallpaper and background images in the ster Wars: Clone Wars club tagged: star wars clone wars ahsoka anakin. Nope, I don't suppot Anisoka. It's purely the padawan and master relationship. You know, like brother and sister. They definately are like brother and sister and are getting closer all the time. 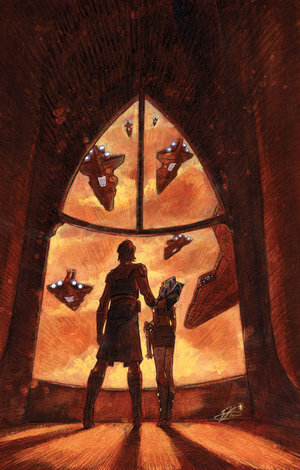 I think if something happens to Ahsoka, Anakin will be heartbroken. Look at his reaction to her "death" in the Season 3 episode "Altar of Mortis". Yeah it's a brother and sister bond not a relationship, I also hate those "weird" fanfics, if you know what I mean.